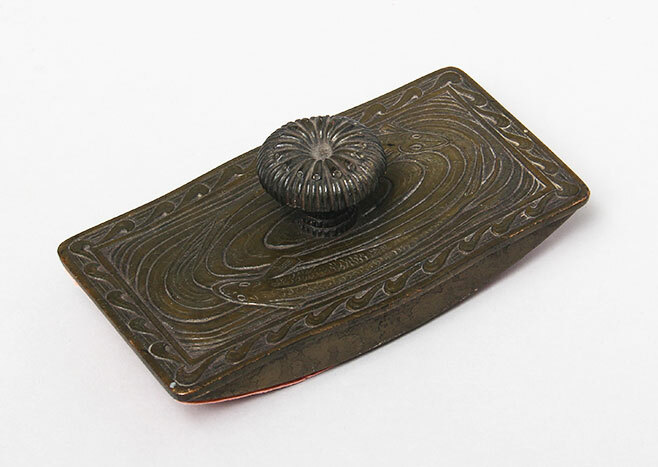 Nautical is one of the rare and very desirable patterns in Tiffany Studios' desk sets. 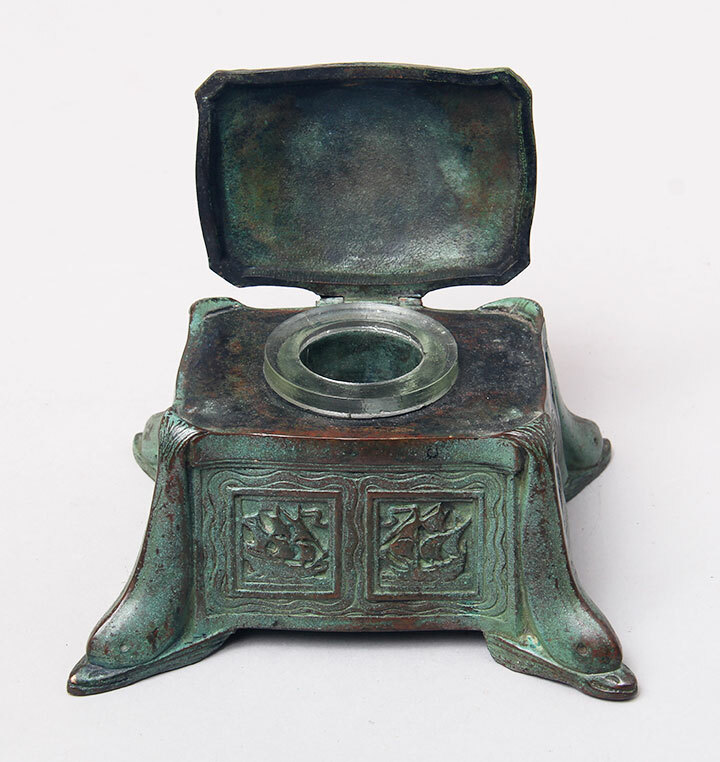 This beautiful inkwell has a gorgeous, original green patina. It doesn't get much better than this. 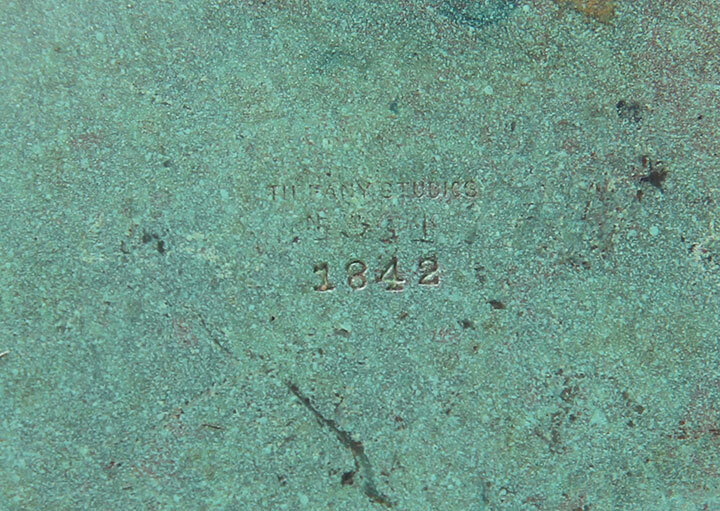 Signed "TIFFANY STUDIOS NEW YORK 1842". 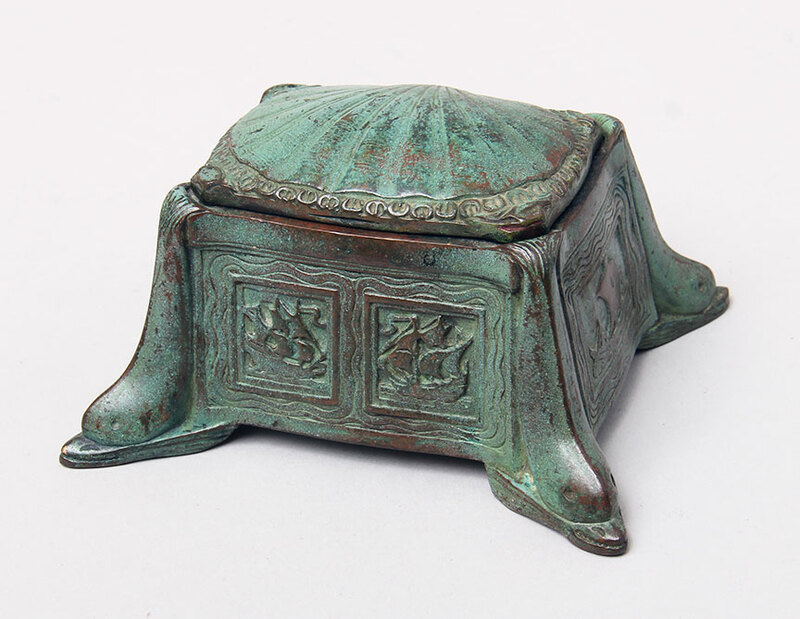 Nautical is a rare and desirable pattern for Tiffany Studios. I don't often get pieces. This rocker blotter has a statuary bronze doré finish in nice, original condition. Signed.